Whether you've decided on a destination wedding in France or a significant birthday in Italy, you'll want the best entertainment to make it a night to remember. Hiring a live band is a great way to make your party unforgettable, but if you don't want your first dance to an accordion, what are your options? Why not try hiring a UK band to play at your bash instead? Even though you've chosen to host your party overseas, there's no doubt that the music that will pack the dancefloor is British and American pop and rock, from indie to ballads via funk and soul. It's about creating some great memories inspired by the music you and your guests love, and it never sounds better than when played by an experienced and professional live band. With a 500-song set list, The Talent know just how to provide the perfect soundtrack for your big event. The best bands will work with you to tailor a performance that matches your needs and your vision for the event. Whatever the music you love, you need a band that can take your event to the next level, whether you want an intimate acoustic set or a full show band experience. Your event should showcase the perfect blend of dancefloor fillers and romantic ballads, songs everyone knows and those that are meaningful to you. A band who can reflect your taste in music is an ideal choice. One of the big advantages of hiring a UK band for your overseas event is the ease of communication and the ability to hire a band who can provide more specialist experiences, for example at Christmas or for a Jewish wedding. Hiring a UK band means you'll be able to control every detail with ease for a hassle-free evening. 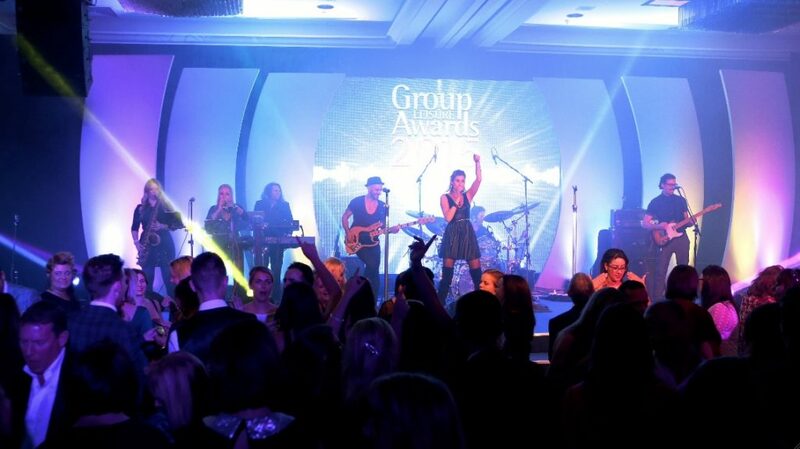 Why trust to luck when you can hire an experienced UK party band that has a complete understanding of what will make your event stand out, not to mention the production values to make it a once-in-a-lifetime occasion? With previous clients spanning the NHS to the BBC, including royalty and celebrities, contact us and you'll take your overseas event from great to amazing.